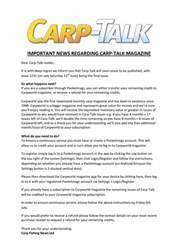 This week’s issue of Carp-Talk (issue 1037) is available to download now. RK Leisure celebrates a new Kingsmead complex record and the capture of Wraysbury No. 1 North Lake’s most famous resident. We have also got news of an eighty from Rainbow Lake and a ninety, plus a string of other massive fish, from Euro Aqua. 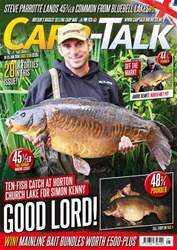 Oli Bowles highlights a product that addresses the main weakness of naked chod set-ups. Dave Magalhaes remembers a successful session on his target water, Steve Spurgeon catches a new Belgian personal best, and Mick Henderson benefits from making a subtle adjustment to his set-up. 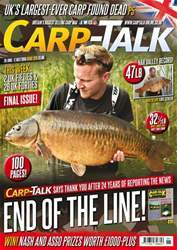 Products from Trakker, Nash, Korda, Fox and Taska go under the spotlight in ‘Trade Talk’, we look at venues worth considering for your next session in ‘Where to Fish’, and there are Tails Up Pro Fish products up for grabs to the value of £500.